Only quality materials are used in the manufacturing of these Body Side Moldings to ensure maximum durability. 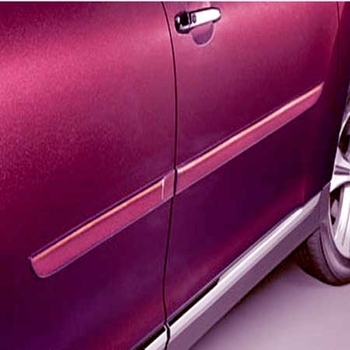 Add some factory protection for your body panels and doors with a new set of Toyota Highlander Body Side Moldings. Toyota Highlander Body Side Moldings are easy to install, simply peel and stick and your ready for any parking lot assault. You can easily customize your Highlander with these easy to install moldings in a matter of minutes.